Nicolas Sarkozy, President of France (2007–2012), speaks during a discussion titled "Europe: Quo Vadis?" as part of the 20th St. Petersburg International Economic Forum at the ExpoForum Convention and Exhibition Center in St. Petersburg, Russia, June 16, 2016. A solution to the Syrian problem cannot be found without Russia, former French President Nicolas Sarkozy said, calling on Russian President Vladimir Putin to do everything possible to unite anti-terrorist coalitions operating there. "We need Russia in order to settle the Syrian tragedy. Russia should do everything possible so that there will not be two coalitions, but there would be only one. And Mr. Putin's leadership - I told him about it yesterday - can help us there. 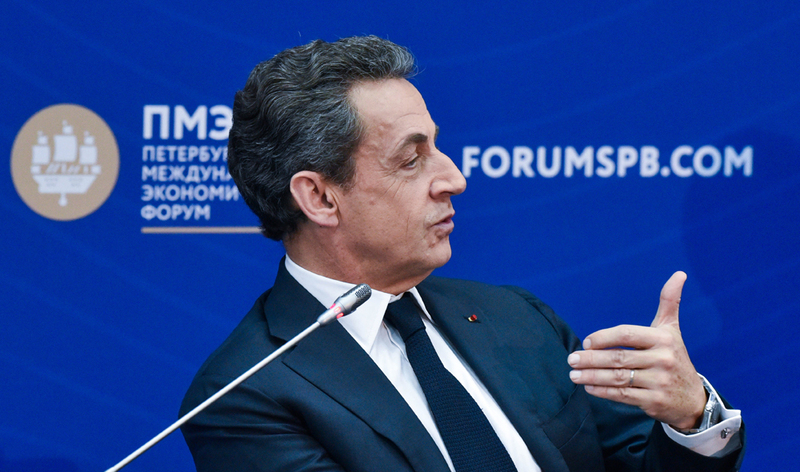 We will not resolve the Syrian issue without Russia," Sarkozy said at the St. Petersburg International Economic Forum. Putin and Sarkozy held an informal meeting at the Constantine Palace on June 15 evening.